Clean your track blindfolded! The Rail Tracker cleaning tool actually follows the track and hugs the rail while you clean, making track maintenance a breeze. 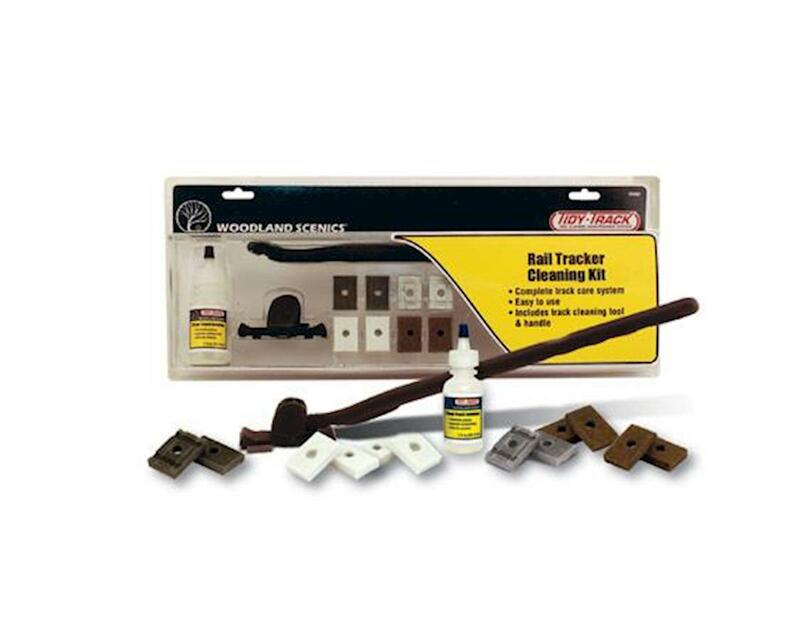 Convenient kit includes everything you need to repair, clean and maintain your track. The Rail Tracker cleaning tool is ergonomic in design, featuring a pad holder that locks in place or swivels in conjunction with a rotating Extension Handle, making it easy to clean hard to reach areas like tunnels. Replacement pads available.